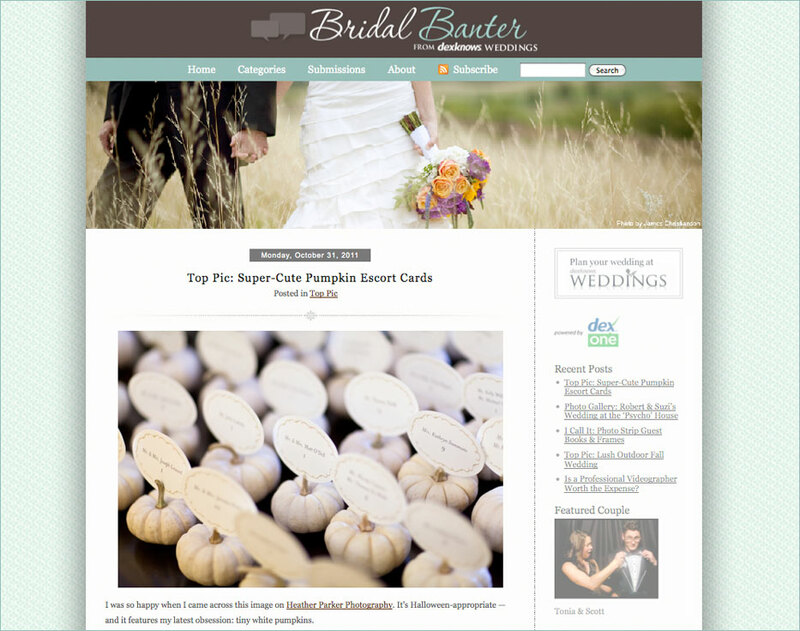 Happy Halloween, and thanks to Bridal Banter for featuring this photo from Adrienne and Ryan’s mansion wedding. You might remember seeing this shot from this wedding that was published on Middle of the Map weddings recently. These little white pumpkin gourds have been a big hit on the wedding blog circuit.